Bessa 18-karat white gold bracelet with mixed-cut white diamonds. Round diamonds, 6.17 total carat weight. 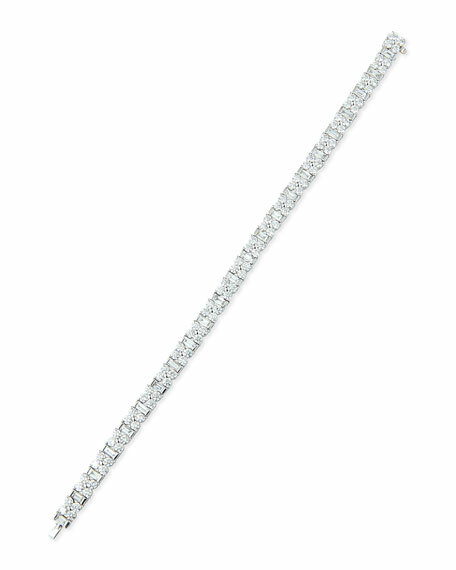 Baguette diamonds, 2.12 total carat weight. For in-store inquiries, use sku #923045.